Anything in your mind, heart, and environment that makes you feel whole can be found here. 20 Minutes Talks with Hailey Heishman is a video series of unscripted and unedited conversations with interesting people. As I was journaling on all of this I wrote, "Turn everything into a game." I looked at what I wrote and just smiled. DUH Hailey! Make this stuff fun and surprising and exciting and a treat, not another to-do. Because to-dos are actually draining me lately. 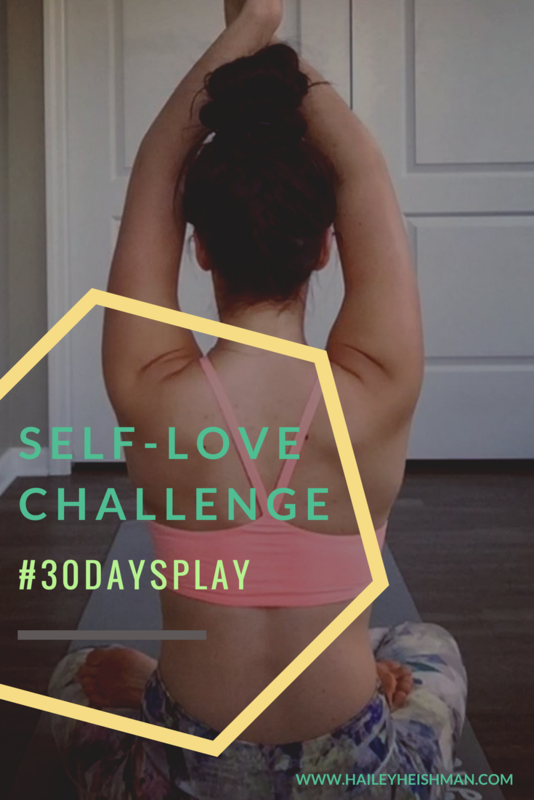 From "Turn everything into a game", I came up with something I'm really excited about... my new 30 Days of Play Challenge.